Her voice is ethereal and she calls out to them. There are about eight names in all and for the life of me I can remember only the three. 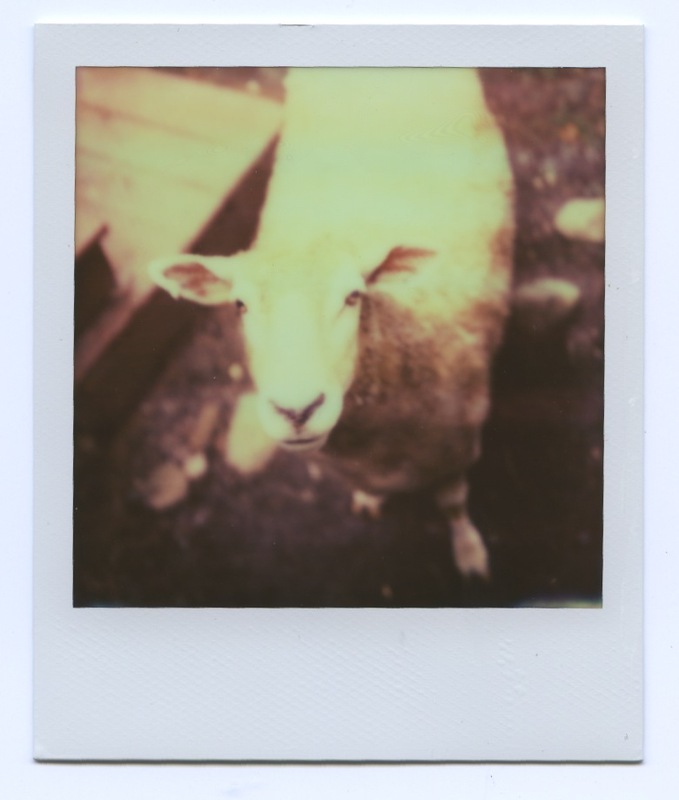 As she calls out to them, in the distance you can hear them Baaa in response. It is a light whispered sound riding on a breeze. She is calling her heard of sheep and has melded the names into a song which brings them to the back porch of the store. They know she has supplied us with bread and it is that thought that brings them from the woods. 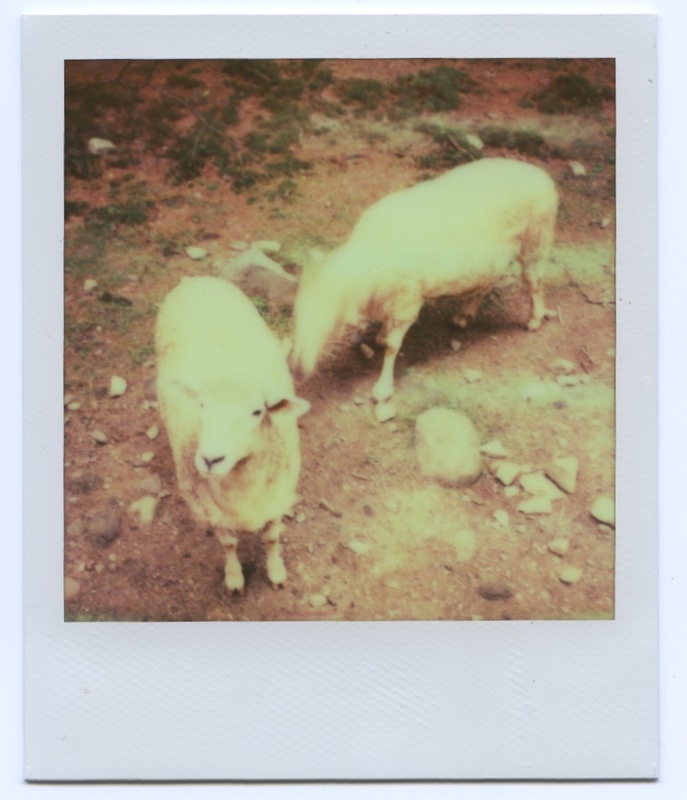 These are carb loving sheep. Their voices grow stronger in response letting us know they are coming. 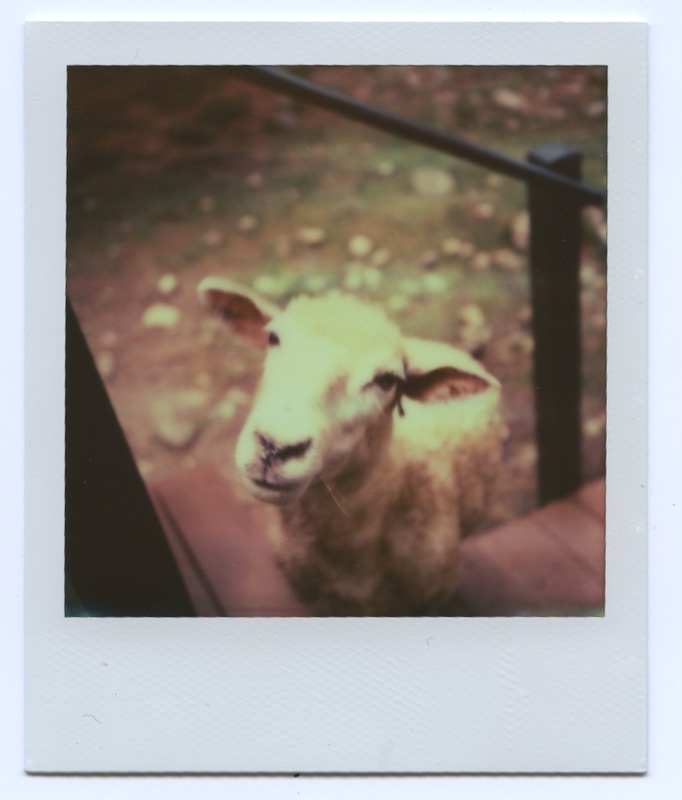 Every year while in the Berkshires, we go to Sheepsgate. It’s a tiny little store nestled in the woods filled with local textile artwork and sheepskin products. It’s on Route 23 also known as Otis Stage Road in Blandford, Massachusetts. Towns in this part of Massachusetts consist of a General Store and Post Office if you’re lucky. I’ve never actually seen Main Street Blandford or any cluster of buildings that might infer it was the center of anything. We come here specifically for the sheep and to support the local artists represented in the store. Once upon a time, I was a weaver and textile designer. I still have a floor loom locked up in storage waiting for me to weave on it again. I painted and wove for a living until the poverty lost it’s romantic patina. I know of a photographer who likes photographing ballerinas because he finds beauty in the pain and poverty it causes the women who are attracted to this art. He actually said this to a crowded audience and they nodded in that knowing hushed way. They would have nodded at anything he would have said as they seemed to be the type that secretly dreamed of being him one day. His photographs are beautiful but I wanted to spit and snarl when he romanticized poverty. I think I will never forget the hunger an empty wallet provides. It was a harsh blow to realize an artist needs a trust fund or some type of financing to really make it. That or incredible luck and I had none of the above. I joined the work force of suits and sales never looking back. I’ve always had one art project or another feeding off my income, vacations and ultimately heart. That’s why photography has been such a good fit. I can bring the cameras with me wherever I go. Floor looms don’t travel with such ease. Out back on the tiny porch we stand in a huddled group waiting with slices of bread in our hands. I still love the smell of wool and get excited when I see the sheep. They amble out of the brush excited to see us already with bread in hand. Usually Margaret, the owner, reserves this ritual for small children. We are not young in age but our enthusiasm overrides any qualms she might have not to pull out the loaf of bread and her song of names. I do not tell her that once upon a time I was a weaver. It is not a story I feel like telling at the moment as there are woolly heads to pat. There is a part of me that thinks she knows this already. There is nothing at all romantic about being too broke to survive. I’d like to have a lamb and a little angora goat-like there isn’t enough for me to do as it is. Lovely post. I like the thought of you as a weaver, more Mae dimensions. Lovely post. I have sheep and shear/spin/weave their wool…when I have the time, and only because my husband earns enough money for me to be a stay at home mom. I would love to say that I am dedicated artist, but my girls come first and I don’t know how to focus all my love and energy into wool when I have them to look after and be with. I love the image of a woman singing to call her sheep to her, that is romantic. I can’t believe you shear/spin/weave – that takes a lot of time and energy. I do have a story I will tell about my spinning wheel one day. I got rid of that years ago when I realized I couldn’t “do it all”. Still, I envy that you are able. The girls should come first. The song of their names was lovely. Perhaps you’ve touched on the reason so many creative people go mad … the desire, the need to create, versus the inability to afford to live on an artist’s salary (granted, one can achieve success, but, a rich, successful creative person is not the norm.) The desire to create — by whatever your chosen form of creation — is overwhelming, but ends up just building inside you, with no release, because we spend our time having to make a living. Maybe the creative energy in us just implodes …. How’s that for being depressing? Oh – I’m sorry you’re depressed. You can comment no matter what the mood. I just try and keep everything balanced… sometimes it works, sometimes not. Art for art’s sake, that age-old dilemma. But food and keeping warm are nice, too. Your photos and your prose are very beautiful, so there’s that. A weaver! Another fascinating part of you, Mae! And I would have spit on the photographer, too! Yes, I was a weaver. Thank you for virtually spitting on that photographer!